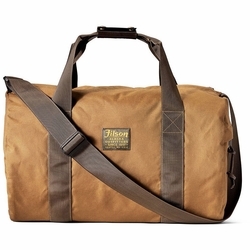 Filson Barrel Pack. This barrel-shaped duffle bag is made with tear-resistant ballistic nylon and outfitted with Filson signature materials. Lightweight and durable, it’s strong enough to go everywhere and light enough to carry all day.